This iconic song from Carousel truly depicts the incredible energy surrounding June, especially in the theatre community. During the month of June ( and May as well), awards are handed out to the wonderfully robust theatre population that exists in New York. 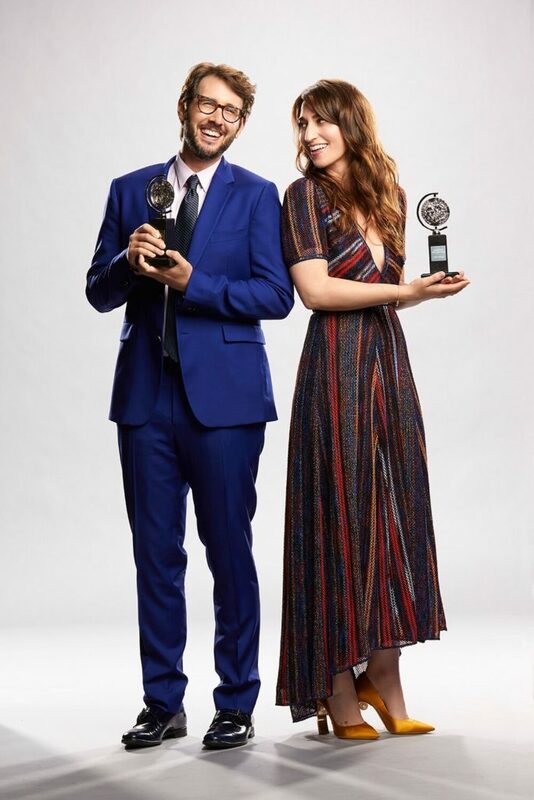 Just last Sunday, the Drama Desk Awards, hosted by Michael Urie (with “Voice of God” announcing provided by me, I am very happy to report) took place at the Town Hall. 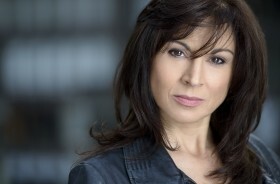 Streamed live on Theatermania.com, the Drama Desk Awards consider all productions in New York. So, you can have an off-off Broadway production competing with a Broadway show in any category, which is unique and refreshing. SpongeBob SquarePants won for Best Musical last Sunday at the 63rd Drama Desk Awards. Will it do the same this Sunday, for the final big kahuna of awards shows, the Tony Awards? SpongeBob is competing with Mean Girls, The Band’s Visit and Frozen for the coveted Tony. I’ve seen each one, and enjoyed them all. The Tony’s will be hosted by Josh Groban and Sara Bareilles, with a special rare television performance by Bruce Springsteen, who joined the Broadway community last year with his one man show. Of course, we will be treated to numerous production numbers from the musicals, in addition to performances or appearances by stars like Patti LuPone, Tina Fey, John Leguizamo, Andrew Lloyd Webber and Chita Rivera. 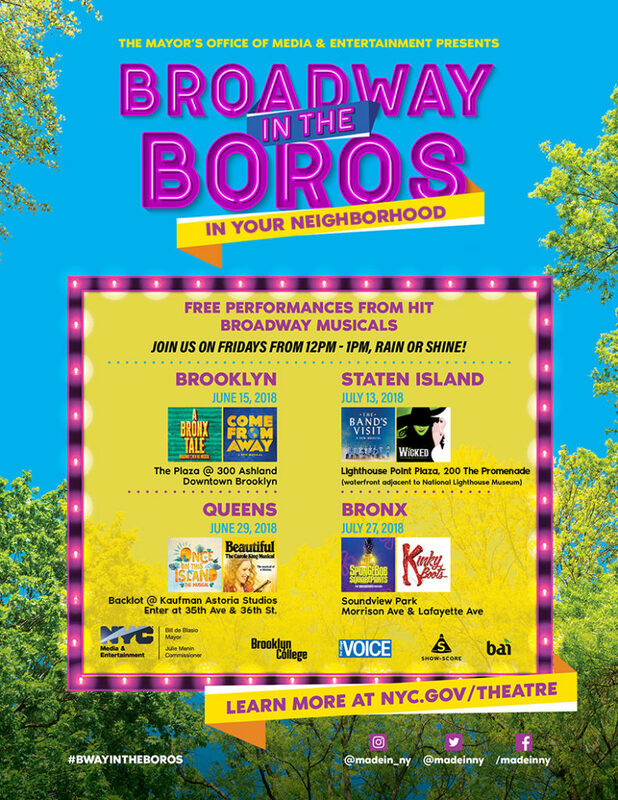 Check out Broadway in the Boros, live Broadway performances in each borough through the summer, beginning with June 15 in downtown Brooklyn. From noon to 1 PM, enjoy performances from A Bronx Tale and Come From Away at the Plaza at 300 Ashland. Get the details. 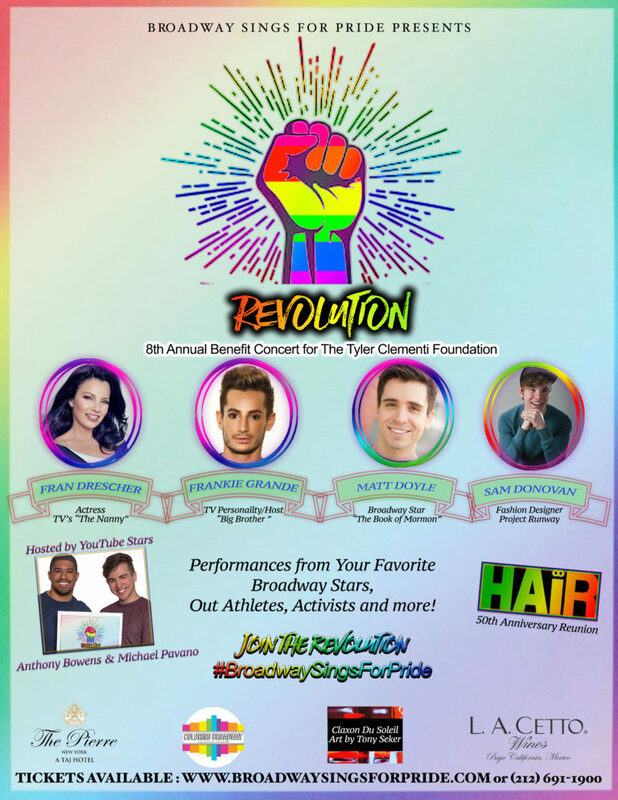 And please, grab your tickets for Broadway Sings for Pride, the annual benefit concert and love fest celebrating Broadway and Pride Month, with proceeds going to the Tyler Clementi Foundation. I promise, you will spend a truly entertaining and inspiring evening at the Cutting Room on June 18.